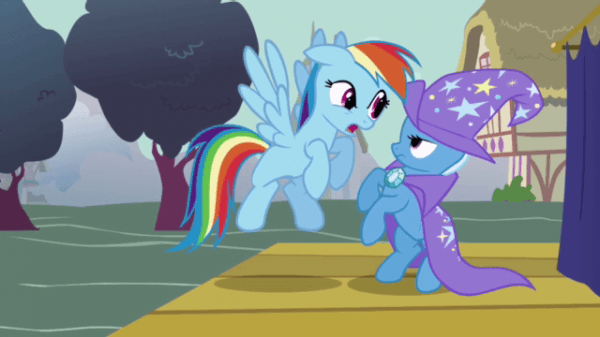 When watching a show like My Little Pony: Friendship is Magic it’s best to not be too self conscious about the show’s original subject matter. It is after all, a children’s TV show about a line of toys intended for young girls, right? Well, the internet in general probably has something to say about that. Following the explosion in popularity that MLP:FiM received after its original airing, calls for DVD collections soon followed. 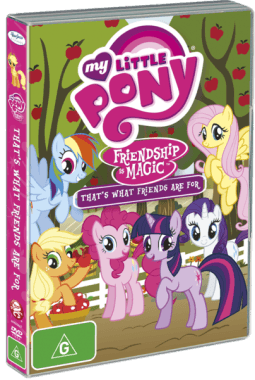 Released in conjunction with the first DVD volume, this second volume of My Little Pony: Friendship is Magic continues the stories of Twilight Sparkle and her friends as they solve the various problems around Ponyville, and aim to teach a few simple life lessons along the way. Sound too girly for you? Well man it up, and don’t be too quick to judge a show simply by its cover. Or overabundance of the colour pink. Like the first DVD volume of the series, the second collection: ‘That’s What Friends Are For’ features 5 individual episodes that explores the town of Ponyville with its ever colourful lead cast. Unlike the first DVD collection however, this particular volume aims to be far more light-hearted than the first. After the original 2 part origin story arc in the first volume, the plot of the show was later broken down into small tales that can be told and resolved in the space of a single 22 minute episode. Each of these episodes stands individually of each other, and could honestly be aired in any order as a result (making it an ideal cartoon to be aired over the TV). As a result, no viewers should feel obliged to watch the episodes in any particular order. This time around, the show shifts the focus of the episodes away from Twilight Sparkle and more onto the other significant members of the cast. If a viewer has been watching each of the episodes since the beginning, chances are they’ve already formed an opinion as to which characters are their favourites, as is common with many cartoons. Having the lead cast constantly tackling problems as a group generally means that no characters are given the short end of the stick when it comes to screen time, and so every viewer has a chance to watch their favourite characters. 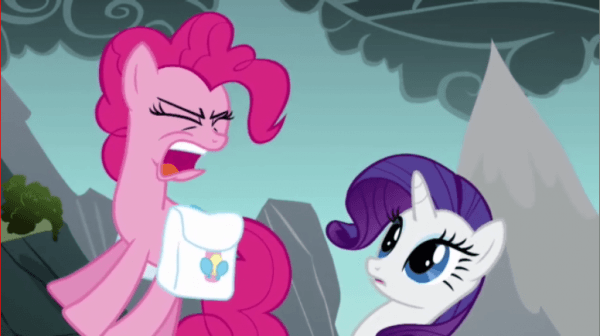 For example, the episode ‘Dragonshy’ centres around the group of six ponies as they adventure up a mountain to deal with a particularly stubborn and inconsiderate Dragon. 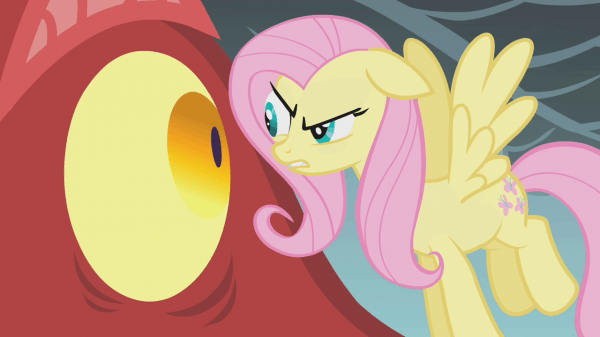 This episode focuses mostly on the timid and soft spoken Fluttershy, who, as the wildlife expert, is tasked with taming a fully grown foul-tempered Dragon, which turns out to me a mission she’s not all too comfortable with. In the episode ‘Boast Busters’ Spike is given the centre spotlight as he tries to talk some confidence into Twilight who begins to doubt herself thanks to the boasting of a travelling magician. After a major mishap thanks to “The-Great-and-Powerful” Trixie’s showing off, Spike needs to teach Twilight that there’s a difference between showing off and using your talents for good, because she’s the only one with the power to stop the town from being stomped flat! The episode ‘Look Before you Sleep’ pits Applejack’s straight-talking attitude against Rarity’s upper-class sensibilities as the pair’s differences collide to potentially ruin Twilight’s first ever slumber party. The two have to learn to get along and accept one another before they lose their friendships altogether. In ‘Bridle Gossip’ viewers are introduced to the mysterious Zecora, a Zebra that lives outside of Pony society who has many rumours flying about her due to her solitary lifestyle. After following Zecora to the edge of the forest on the whim of one such rumour, the girls find themselves to have each been ‘cursed’ in a different way. 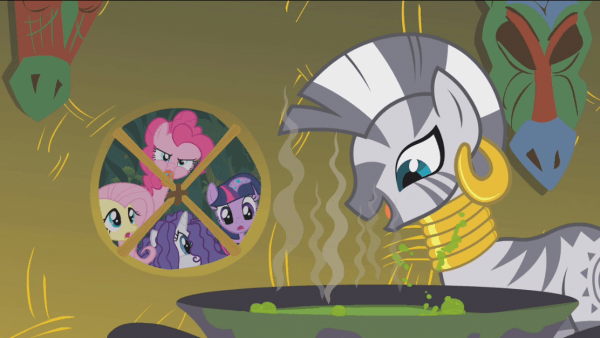 Convinced that Zecora is the cause and against Twilight’s better judgement, the girls set out to make her undo the curse. In the last episode ‘Swarm of the Century’ Fluttershy happens upon some small insect like creatures that turn out to be more a handful to take care of than she realised. The girls have to rally together to figure out how to get rid of them. Which would be much easier if they didn’t keep multiplying and eating everything. 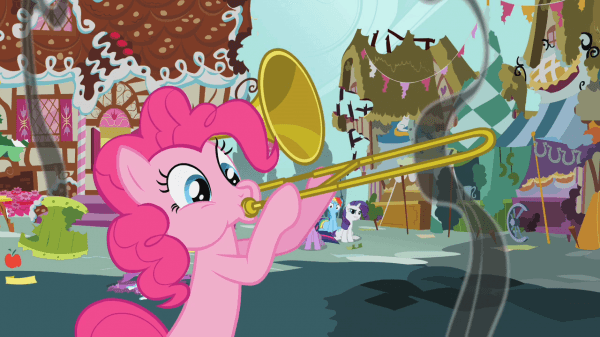 And why is Pinkie Pie so obsessed with collecting all of those instruments? The second volume carries over a consistent visual standard from the first. The animation is very well drawn and character designs well made. Audiences are introduced to a variety of new environments, each with their own gritty or colourful feel. A lot of animation is devoted to background occurrences and characters, making the world seem more lively, even when the show is focusing on one or two particular characters. And as before, the simple colouring of the art style is simple and enjoyable to appreciate. The voice acting quality and music is also well appropriated, though I never think I’ll get used to that opening theme song. Upon hearing it, it just feels like an obvious reminder of the childish roots of the show. But that’s a minor complaint that can be easily over looked in the grand scheme of things. Again, due to the high quality of voice acting, and the advanced language use of the characters, it really feels like the show takes the viewership seriously. It is important to keep in mind that the show’s creators probably didn’t fathom the sort of popular response it would receive from not only young girls, but from a large collection of audiences in general. Let’s face it, audiences tend to have a very black and white perspective of this series. You either like it, or raise an eyebrow at those that do. I must admit that I originally categorised myself as a member of the latter. But given time, and some patience with some of the more childish themes, the show has grown on me to some extent. Remember that at this point of the show, it was still early days, and the internet fan following had not yet fully emerged. But that doesn’t mean it’s still not enjoyable. The characters are dynamic and well developed past what was introduced in volume 1, and the stories are genuinely fun to watch. However, the ultimate appeal of this show as a whole will come down to how willing you are to sit through a few kid’s show clichés to truly appreciate it as a fun to watch show.